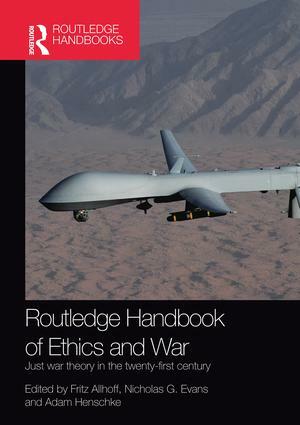 This new Handbook offers a comprehensive overview of contemporary extensions and alternatives to the just war tradition in the field of the ethics of war. • What role do the traditional elements of jus ad bellum and jus in bello—and the constituent principles that follow from this distinction—play in modern warfare? Do they adequately account for a normative theory of war? • What is the role of the state in warfare? Is it or should it be the primary actor in just war theory? • Can a just war be understood simply as a response to territorial aggression between state actors, or should other actions be accommodated under legitimate recourse to armed conflict? • Is the idea of combatant qua state-employed soldier a valid ethical characterization of actors in modern warfare? • What role does the technological backdrop of modern warfare play in understanding and realizing just war theories? Over the course of three key sections, the contributors examine these challenges to the just war tradition in a way that invigorates existing discussions and generates new debate on topical and prospective issues in just war theory. This book will be of great interest to students of just war theory, war and ethics, peace and conflict studies, philosophy and security studies. Fritz Allhoff is Associate Professor of Philosophy at Western Michigan University and a Senior Research Fellow in the Centre for Applied Philosophy and Public Ethics at Charles Sturt University, Canberra. Nicholas G. Evans is a doctoral candidate at the Australian National University and an Adjunct Research Associate at Charles Sturt University, Canberra. Adam Henschke is a researcher in the Centre for Applied Philosophy and Public Ethics at Charles Sturt University, Canberra.